Simple yet striking, the Square (light) dining table from Italian designers Slide, will add a touch of contemporary elegance to any modern space. 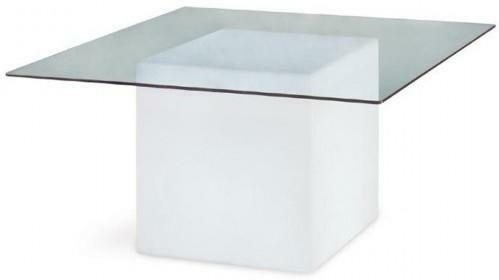 Featuring a square base and square glass top this table is suitable for both indoor and outdoor use. 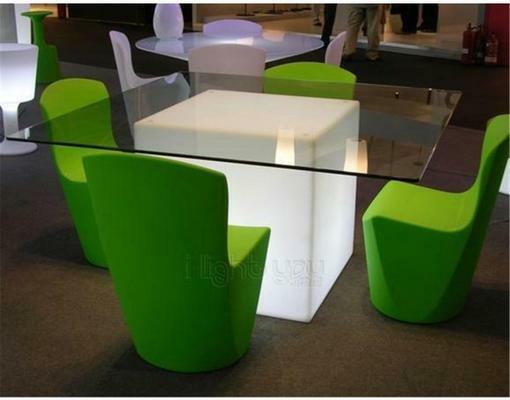 Manufactured from polyethylene using a cutting edge rotational moulding technique the Square (light) dining table can be illuminated internally ensuring it will literally light up the space around it. 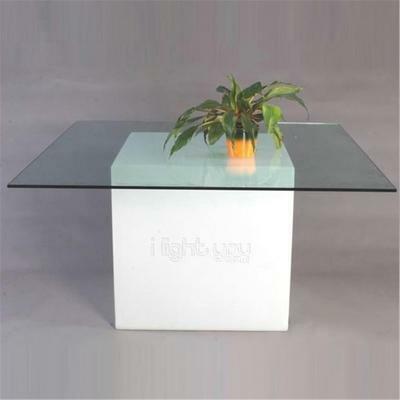 For added versatility and ease of use the internal lighting feature of this table features an absolute minimum of wiring and is simple to install. Although supplied with an EU style plug, an EU to UK adapter is provided. It does, however, require an E27 (25w) light bulb which is not supplied. 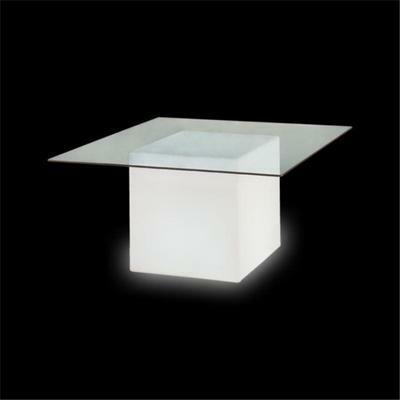 The square (light) dining table is manufactured by leading Italian producers Slide Design who, since their foundation in 2002, have become global market leaders in the production of contemporary furniture for modern domestic and public interiors and exteriors. 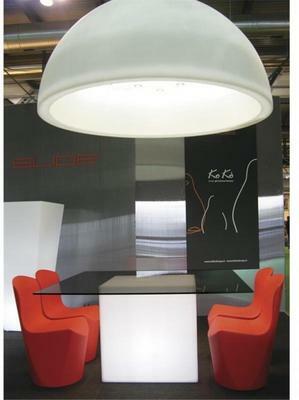 Renowned for producing innovative and practical products which feature strong and distinctive designs Slide have created a range of furniture that includes seats, tables and bookcases and a whole host of other complimentary items all of which combine just the right input of light with a choice of strong distinctive colours.